Amidst a sea of wired and wireless standards, one of the most popular and useful is USB 3.0. It's fast, universal, and found on just about every modern device, be it a PC desktop, MacBook, or a smartphone. But you need the right drivers to make it work, and if they're missing from your Windows PC or laptop, you need to learn how to install a USB 3.0 driver on Windows 10. Why Isn't USB 3.0 Driver on Windows 10 Working? Like wired and wireless networking drivers, USB 3.0 drivers are a staple of any Windows 10 installation and should be present and correct when you switch to the operating system for the first time. However, upgrades to Windows 10 from Windows 7 or Windows 8.1, as well as updates to the latest version of Windows, can sometimes cause conflicts with drivers and cause USB 3.0 devices to stop working as they should. It's always worth double checking the USB port you’re trying to use is USB 3.0 and not 2.0. While that shouldn't stop you from using it, if your concern is slow speeds, you may be using an older port. 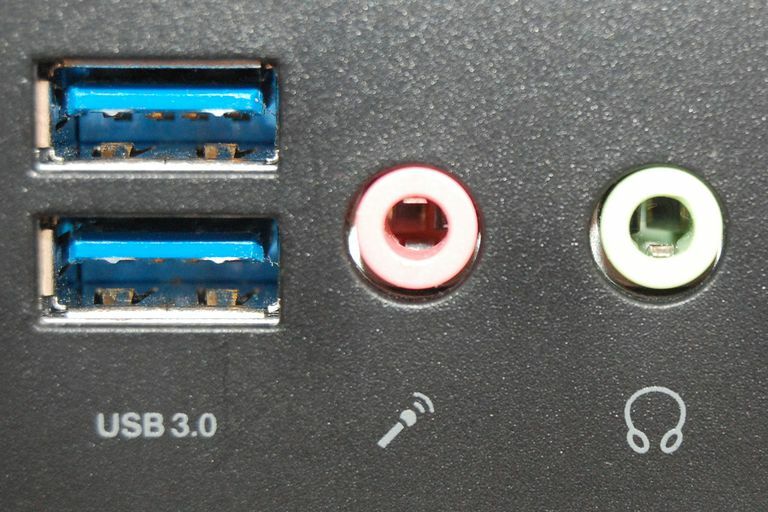 USB 3.0 ports tend to be blue, while USB 2.0 tend to be white or black. The most likely problem with USB 3.0 drivers on Windows 10 is they've been corrupted somehow. Here's how to reinstall them to make sure they're working as intended. Search for Device Manager in the Windows 10 search bar and select the corresponding result. Scroll down the list of hardware and select Universal Serial Bus controllers. Look down the drop-down list and right-click (or tap and hold) USB Root Hub (USB 3.0), then select Uninstall Device. If you have duplicates of them, as in the screenshot above, uninstall them all. Confirm the action, if required to do so, then reboot your device. Windows 10 should reinstall the USB driver automatically upon reboot. If you're having trouble with one particular USB 3.0 device, you can try reinstalling the drivers just for that. Follow the steps above to access the Device Manager, then plug in the device you're experiencing driver difficulties with. It should appear in the USB list. Repeat the steps in the previous section to uninstall its drivers, then reboot your system as before. Access the Device Manager as in the first step above. Right-click (or tap and hold) USB Root Hub (USB 3.0), then select Properties. Select the Driver tab, then select Update Driver. Select Browse my computer for driver software > Let me pick from a list of available drivers on my computer. Select USB Root Hub (USB 3.0), then select Next. The installation may take a minute, but once complete you'll want to restart your system to finalize the change. Microsoft has a tool specifically designed for fixing problems with USB 3.0 devices and drivers. Download it from the official support website, then run the program as you would any other. It will attempt to diagnose your USB 3.0 problem. If one is discovered, allow it to continue with an attempted fix. You may need to restart your device after completing it. Although Windows 10 should have the USB 3.0 drivers you need to use your compatible devices, it may be some other drivers are too out of date to work properly. To update them, you need to know the name and model of your system or device. If you want to be specific, know the motherboard make and model, too. You can find these using a system information tool. Once you have them, go to your system or motherboard manufacturer's website and download the latest chipset drivers for your system. Install them as you would any other driver and restart your system. Updating Windows itself can sometimes fix problematic issues that just won't seem to go away. The latest Windows service packs and updates can fix a myriad of issues, as they're continually improved and tweaked by Microsoft. If none of the above fixes sorted out your particular problem with USB 3.0 on Windows 10, you can try changing Windows' power settings, as they may be interfering with the USB ports and connected devices. Search for "Device Manager" using the Windows 10 search bar and select the corresponding result. Select Universal Serial Bus controllers to expand the section, then right-click (or tap and hold) USB Root Hub (USB 3.0). Select the Power Management tab and select Allow the computer to turn off this device to save power to disable it. Select OK. If prompted, restart your device.